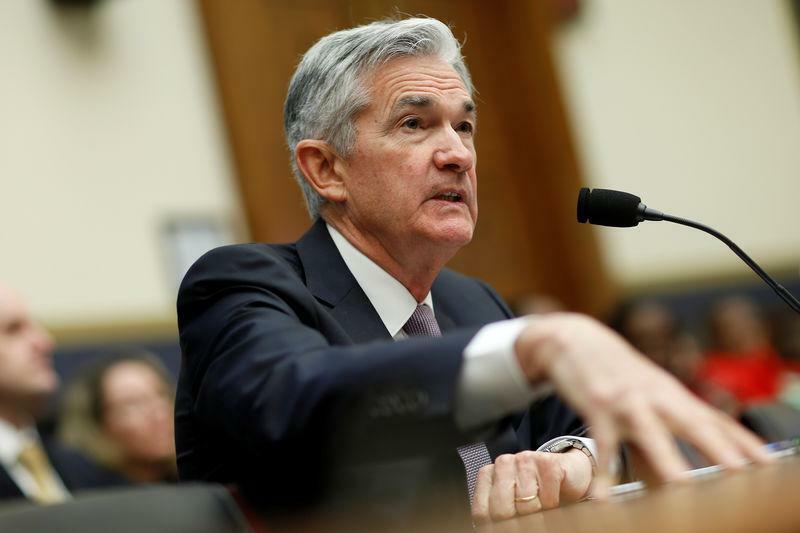 WASHINGTON (Reuters) - Jerome Powell heads for his first interest rate increase as Federal Reserve Chairman this week with an unanswered question looming above others: could his optimism about the U.S. economy lead to more hikes than markets have prepared for? Powell's public comments and Reuters conversations with his Fed colleagues since January, when he was confirmed as chairman, suggest such fears are overblown: Powell, the consensus-builder, may make some tweaks to reflect changing economic conditions but is as committed to gradual, moderate rate increases as his predecessor Janet Yellen who adopted that approach. The new chairman's overriding concern will be to sustain one of the longest U.S. recoveries for as long as possible, according to conversations with Fed officials and analysts. But given signs that the economy's potential has strengthened, that might mean a policy-tightening cycle that lasts longer, with rates going a bit higher than earlier thought. Powell was widely seen as a choice of continuity when President Donald Trump picked him. He served as one of the Fed governors during the central bank's transition from crisis-era stimulus to a more balanced approach that led to three rate increases last year in response to steady growth and falling unemployment. Yet uncertainty over how the 65-year old lawyer and former investment banker would steer the Fed was on full display last month when global stocks sold off briefly after Powell's first congressional testimony. Investors initially took his upbeat assessment of the U.S. economy as a sign he was more of a policy "hawk" than Yellen, and that four rate hikes might be in store for this year rather than the three previously telegraphed by the Fed. This might still turn out to be the case. Even the dovish Fed Governor Lael Brainard noted recently that the economy's "headwinds are shifting to tailwinds." But a stronger economy does not necessarily mean the Fed is abandoning its balanced assessment of risks to growth and price stability. Rather, it can give Powell wiggle room in balancing nudging inflation up after more than five years below target, and guarding against the risk of runaway prices as some $1.8 trillion in tax cuts and new government spending take hold. Under Yellen, the central bank was still more guarded about the economic impact of such fiscal stimulus that could overheat an economy already near full capacity, but also boost business confidence and productivity, giving the rates more room to rise. One hint whether the Powell Fed now sees more policy leeway will come on Wednesday when the central bank will publish its new median estimate of the so-called neutral rate of interest - the level that neither stimulates nor chills the economy. This rate has drifted down to a 2.75 percent median, from 4 percent in 2013. A rise to, say 3 percent, could signal the fiscal stimulus and recent data like the blockbuster February jobs report have begun convincing Powell and others that the gradual rate-hike cycle could go on for another couple years or more, allowing extra room to cut rates in the next recession. Some policymakers also worry the tax cuts could stoke risky investments that could tip the economy into another downturn. But the Powell Fed is likely to take extreme care not to over-react to stronger economic data, according to a series of public statements by policymakers and minutes of their January meeting. Investors can also take comfort from what those who have worked with Powell describe as his "if it ain't broke, don't fix it," approach, which ultimately helped him land his job. While Powell has shown little appetite for sweeping changes, such as revamping an inflation-targeting regime as advocated by some of his colleagues, the new Fed chief has already begun setting his own tone. He is "careful and practical but definitely open to new approaches," said Narayana Kocherlakota, former Minneapolis Fed president who worked with the then-Fed Governor Powell between 2013 and 2015. For one, Powell, a Republican former Treasury official who enjoys his regular private meetings with lawmakers of both parties, emphasizes a warmer relationship with Congress and avoids venturing outside of the Fed's strict policy remit. During his first appearance on Capitol Hill as Fed chief, when asked what he was willing to do to ensure economic growth benefits all Americans and not just elites, Powell stuck to the script saying the Fed simply lacked the tools to do that. That marks a contrast to the era when Yellen and her predecessor Ben Bernanke were in charge. Their years in office were dominated by innovation and experimentation in the face of crisis, an overhaul of how the Fed sets and communicates policy, and sometimes free-form public discussions about social issues like inequality that put Yellen in particular at odds with the Republicans who control Congress. So far Powell has dropped no hints of immediate changes to press conferences or other means of communication. His reluctance to take unnecessary risks may convince him that any change could confuse the public, do little to improve policy, and draw unnecessary political fire.